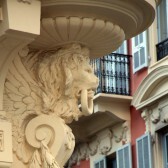 Choose from the 10,000 hotel rooms in Nice! Boutique hotels, traditional hotels, luxury hotels, international channels, in the city center, along the beaches or the hills ... 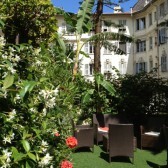 Atmosphere of a place of relaxation, rooftop pool, go to Nice! This is an idyllic setting in the heart of Nice on the French Riviera, the perfect location for professional and private events. 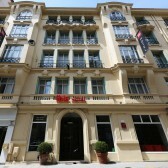 The Hotel Villa Rivoli is located in an old unique Belle Époque building, decoration «à la francaise». 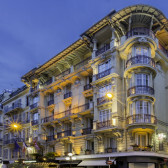 The Hotel Le Seize is ideally located in the very heart of Nice, only a short walk from the old town, the beaches on the Promenade des Anglais and the shopping district. 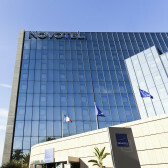 The Novotel Nice Arénas hotel opposite the airport is located on the Promenade des Anglais, 7 km away from the city centre. 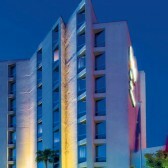 Free shuttle between the hotel and airport, breakfast from 5am. Above the Promenade des Anglais and nestled against the Colline du Châteauof Nice, the Hotel La Pérouse offers the most spectacular view over the Mediterranean. In the heart of Nice's pedestrian quarter, just 100 metres away from the Place Masséna and the Promenade des Anglais' beaches, discover the charms of the fully-renovated Régence hotel. The hotel is 100 metres from the beach and 30 metres from the bus stop. 20 minutes from the town centre and the SNCF train station. 30 minutes from the Port of Nice. 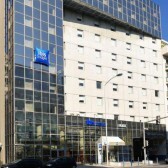 Located in the city centre, near the Old Town and across from the Acropolis Convention Centre and the Exhibition Centre, Novotel Nice Centre is ideal for pleasant travel, whether for business or leisure. 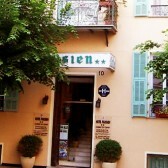 Hotel « Parisien » is situated in the heart of Nice around the Liberation scuare, one of the most animated town with it’s Medterraneen style. 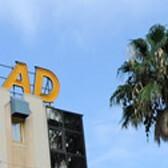 In the heart of Nice, ideally located near the department stores and from the train station. 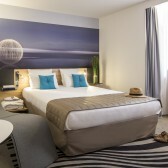 the Art Deco-style Ibis Centre Notre Dame hotel interweaves charm and history. There is public parking nearby. 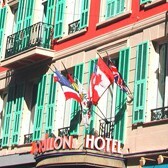 Hotel located in the center of Nice, near the Promenade des Anglais. 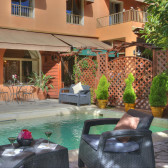 15 km from the city center, 6km from the beach and Nice airport and 2km from the Palais Nikaia. Situated in a quiet private cul-de-sac near the Nice station, 15 minutes from the Promenade des Anglais and close to the tramway. 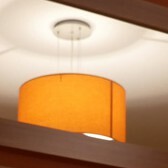 Rooms with air-conditioning, kitchen, shower and WC, free Wi-Fi. The Hotel Anis awaits you with large rooms and spacious terraces around 300 metres from the Promenade des Anglais, between Cannes and Monaco, one of the most exclusive places on the Côte d'Azur. Located in Nice centre, near the Palais des Congrès Acropolis, 200 metres away from the beaches and the Promenade des Anglais, all commodities within walking distance. 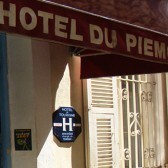 The hotel is ideally located a stone's throw from the Promenade des Anglais and its beaches. 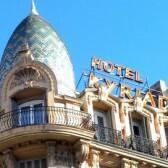 A few steps from the town center and the station, 10 mn walk from the Place Massena, the Promenade Des Anglais and the beaches, the Kyriad Nice Centre Gare proposes 76 rooms. 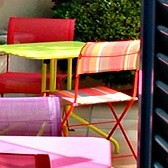 This establishment is 600 metres from the beach and the Promenade des Anglais. 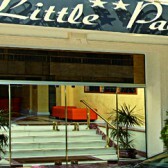 The Little Palace offers free Wi-Fi, reception open 24/24 with automatic food and drink distributors. 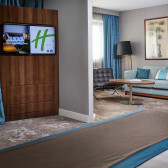 Located in a residential area in the very heart of Nice, only a few minutes ago from the seafront and the main shopping zone, the Hotel Holiday Inn Nice offers 131 air conditioned and sound prooved rooms and Suites.